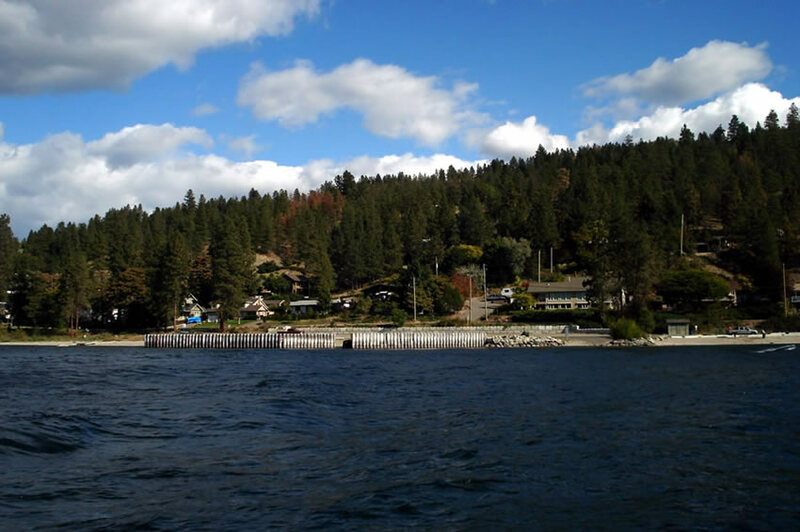 Carrying on northward from Wilson Landing on the Westside is a large bay offering some protection from southerly breezes. 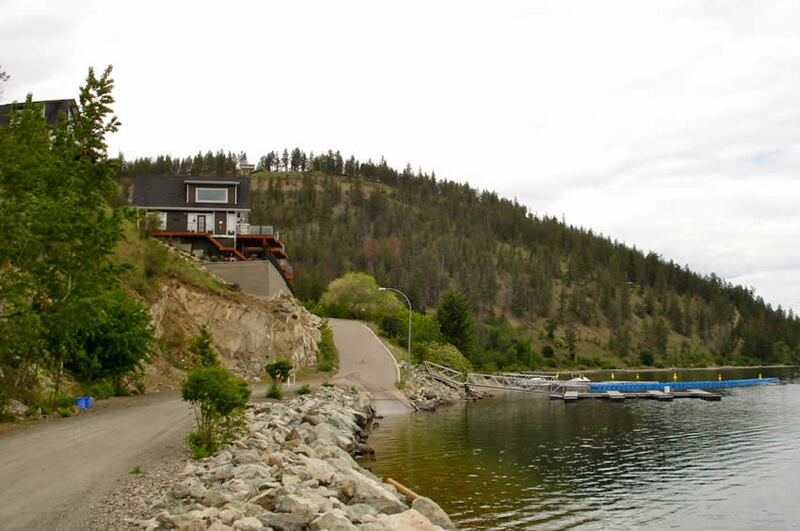 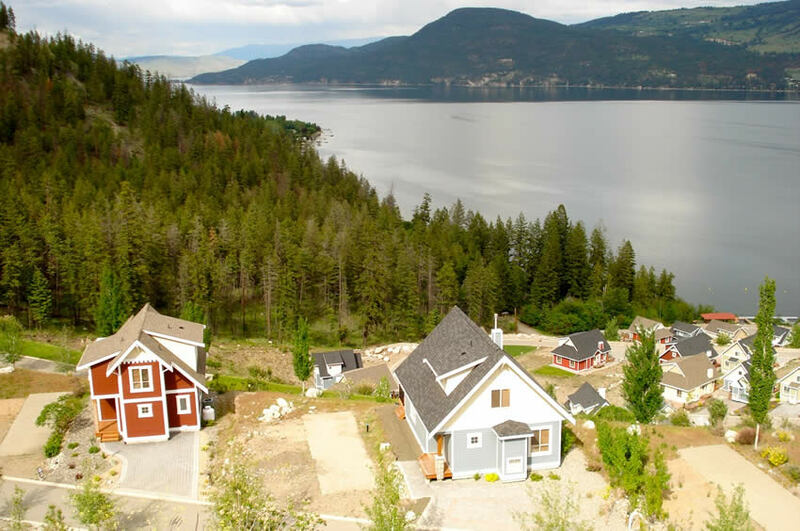 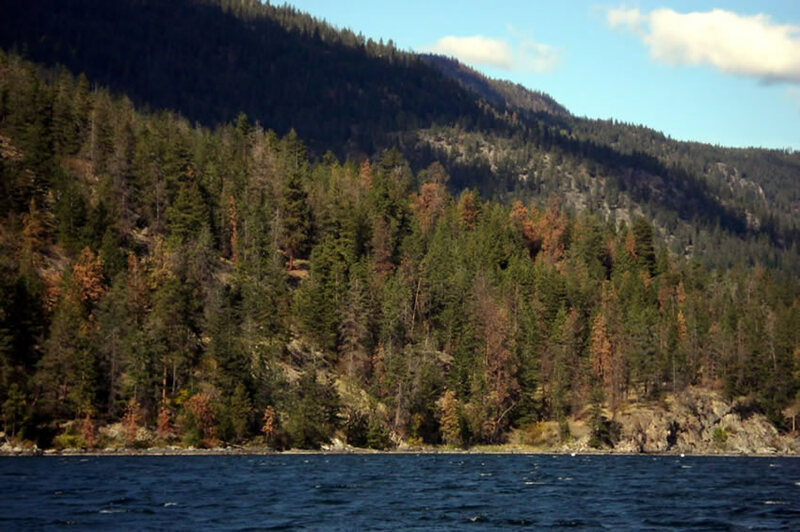 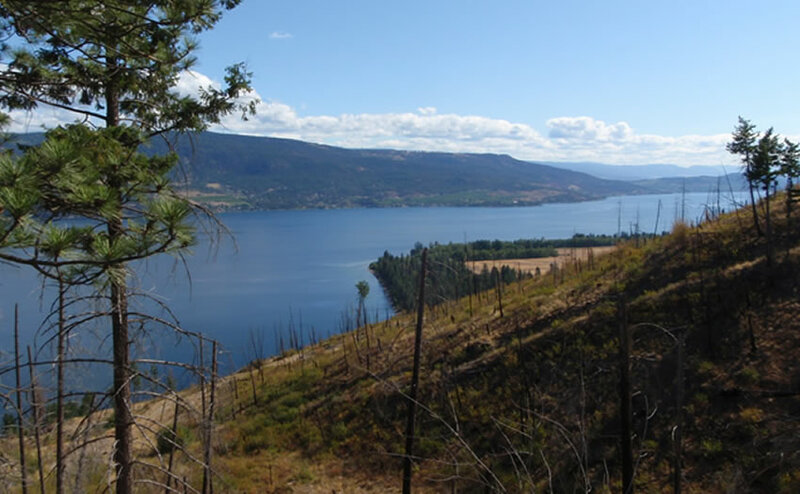 A few cottages, acreages, and Camp Owaissi line this stretch of shore up to Lake Okanagan Resort. 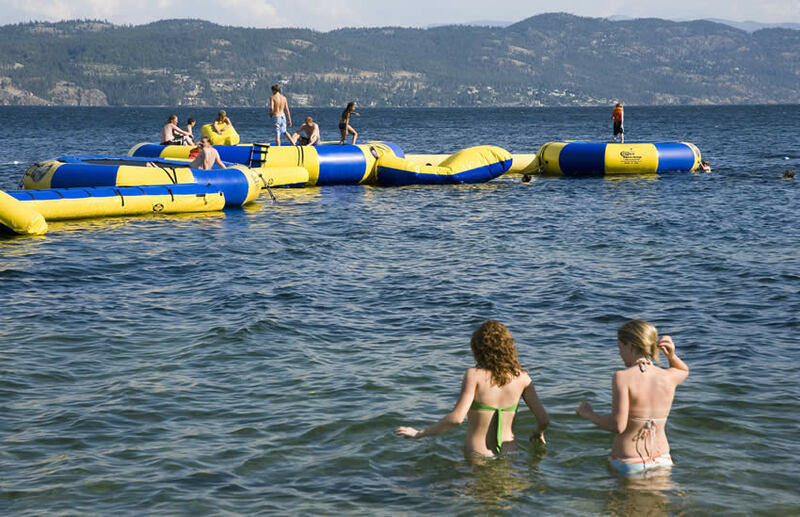 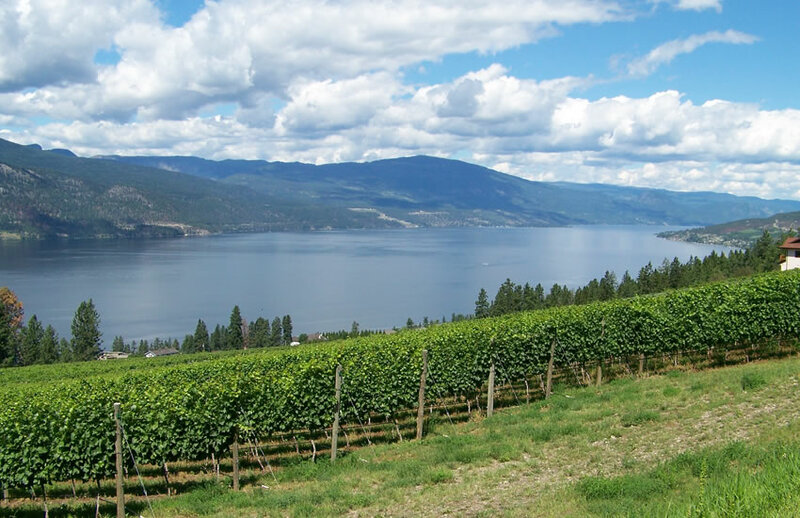 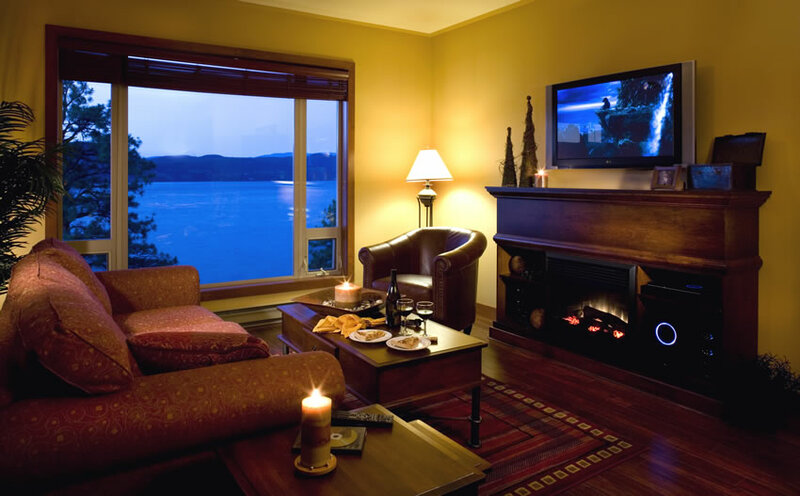 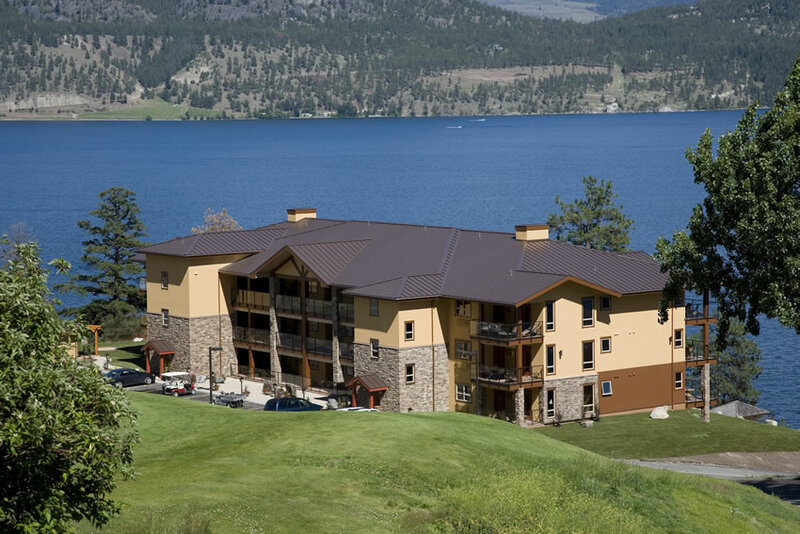 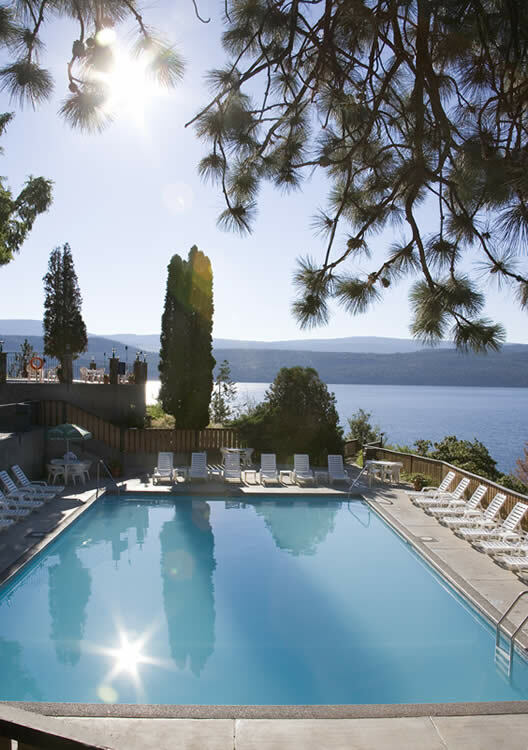 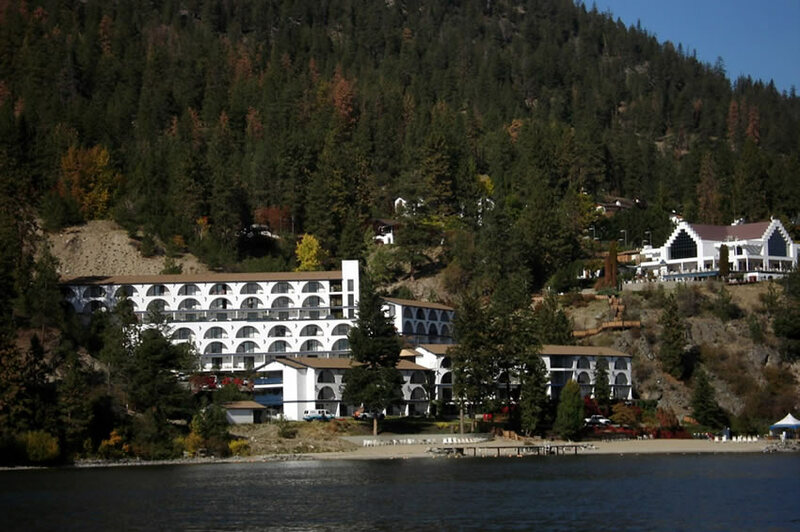 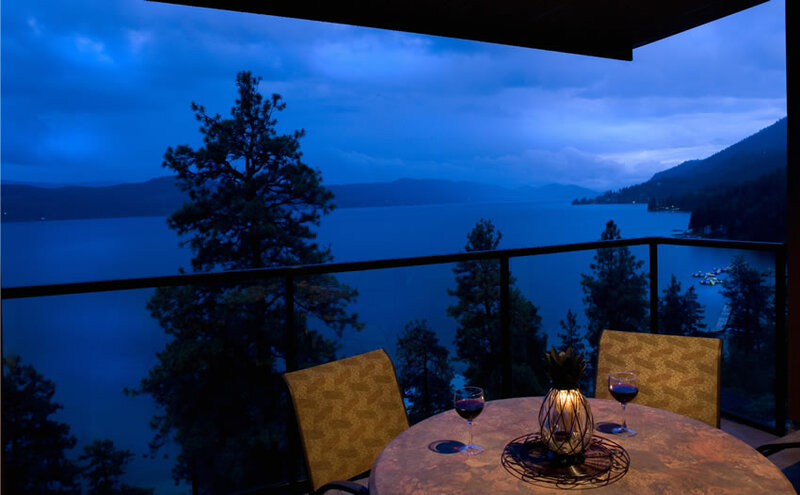 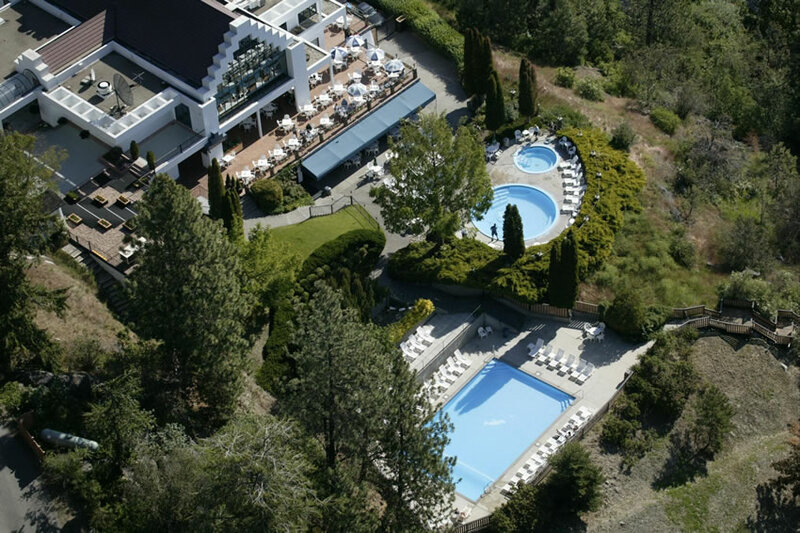 Lake Okanagan Resort is a high-end resort that is secluded from city life. 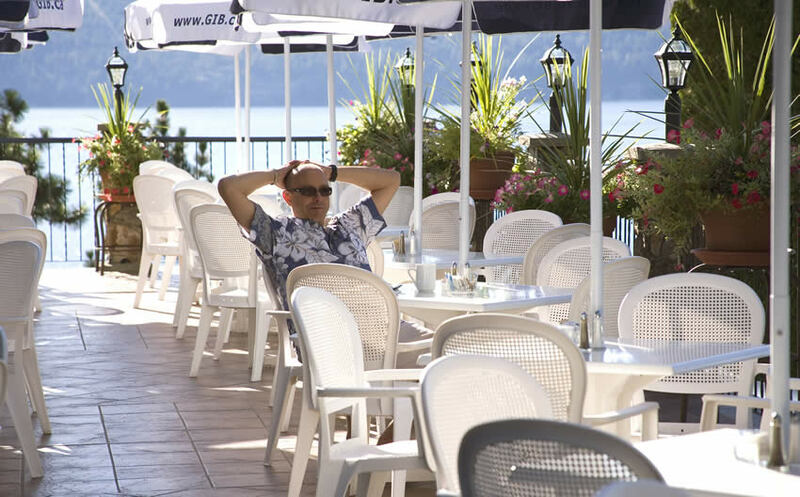 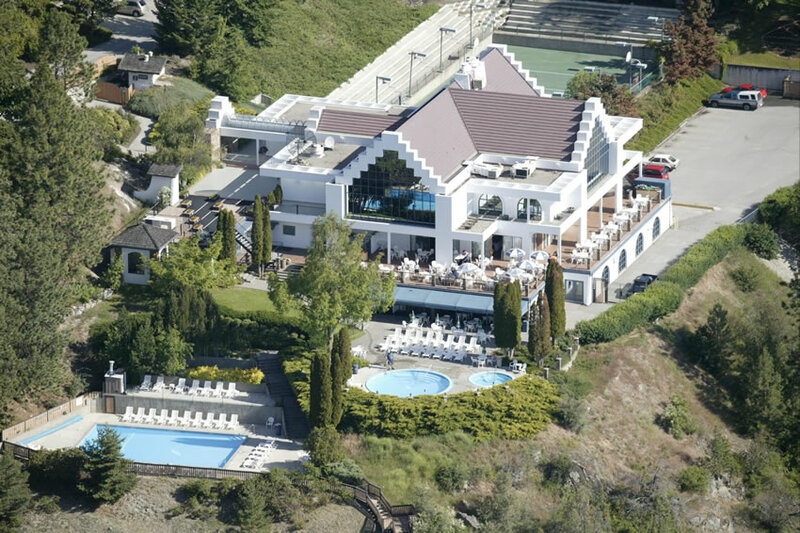 Its offers a fine hotel, restaurant, chalets, golf course, tennis courts, horseback riding and a long hike down to the water’s fueling dock, boat rentals, resort moorage and fun beach activities like water tramps, sailing, volleyball and more. 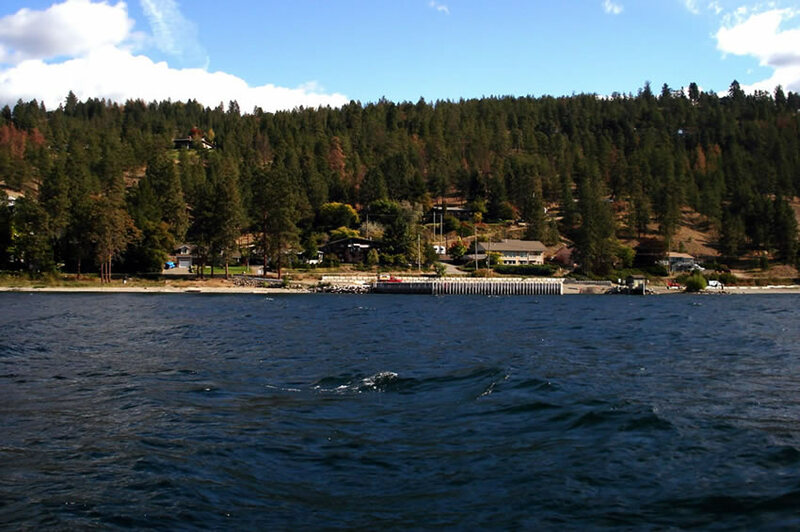 There are a few bays with mooring buoys on the north side of the resort. 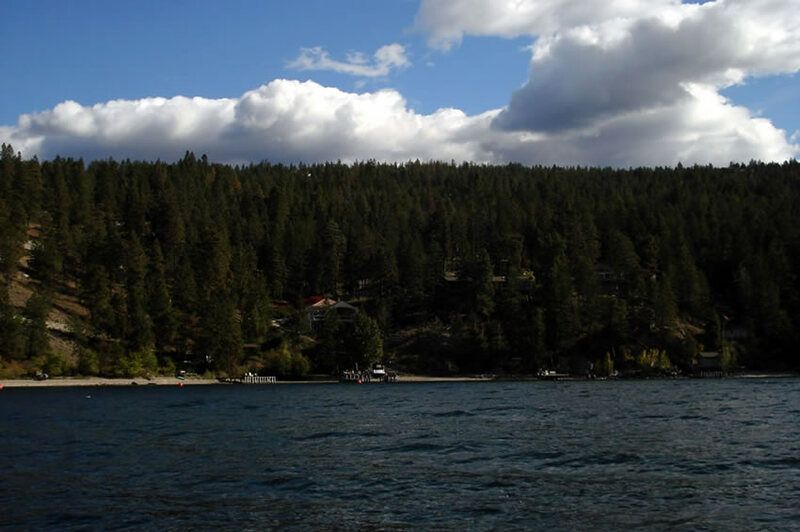 The next point northward is Caesar Landing, named after pioneer Henry Northcote Caesar. 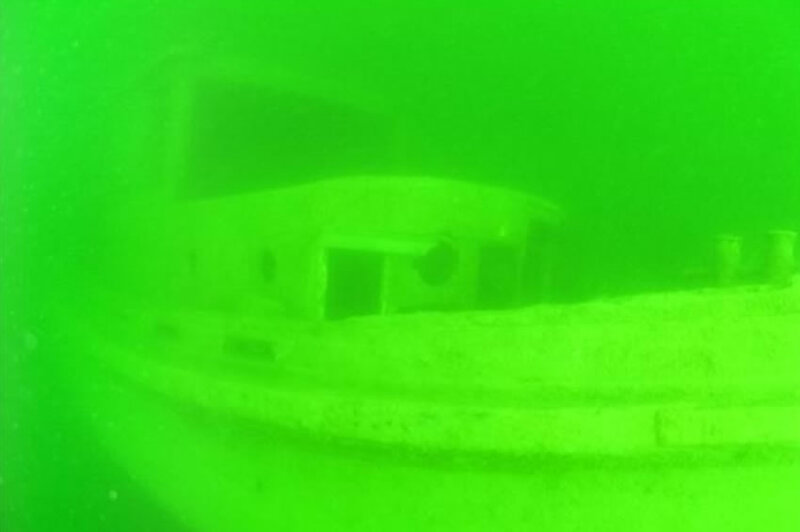 A steep underwater wall is a popular dive site. 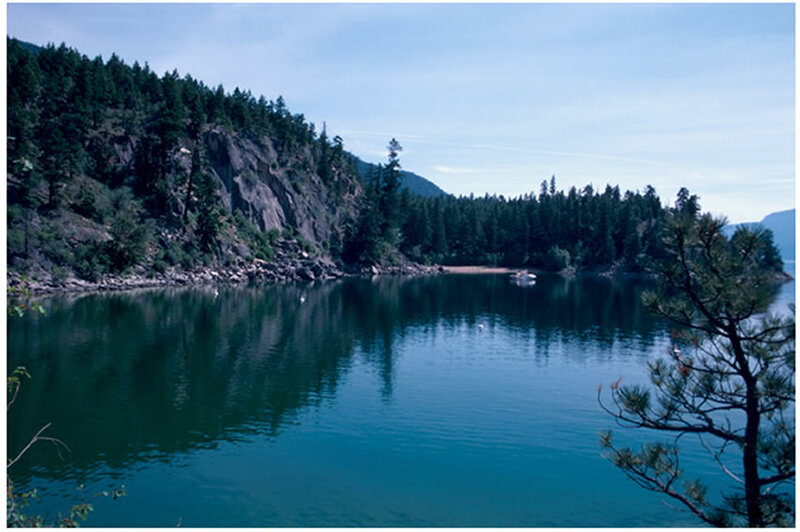 This area is the deepest in the entire lake, at just under 750 feet (228 meters) deep. 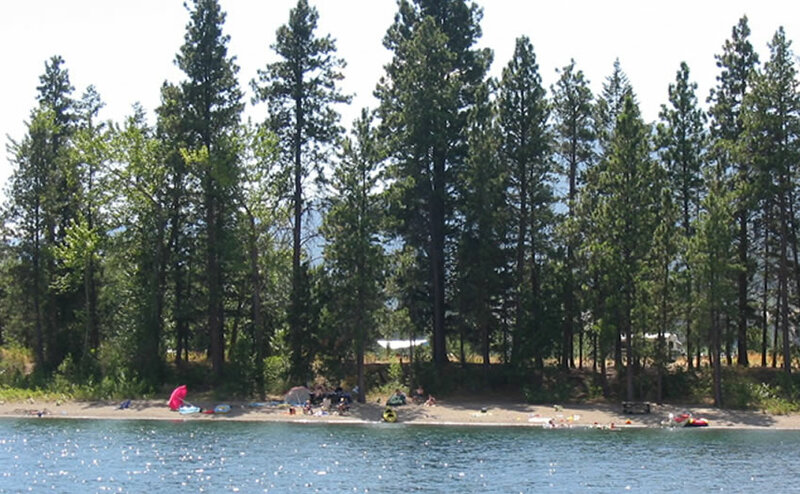 This stretch of shoreline is rocky – not the best beach on which to land. 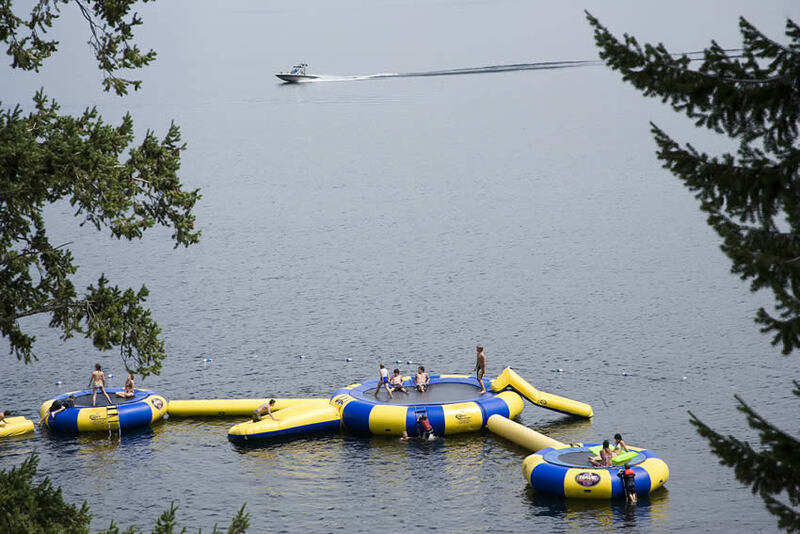 However, this is a great place to float and play with your water toys, as there is little boating traffic. 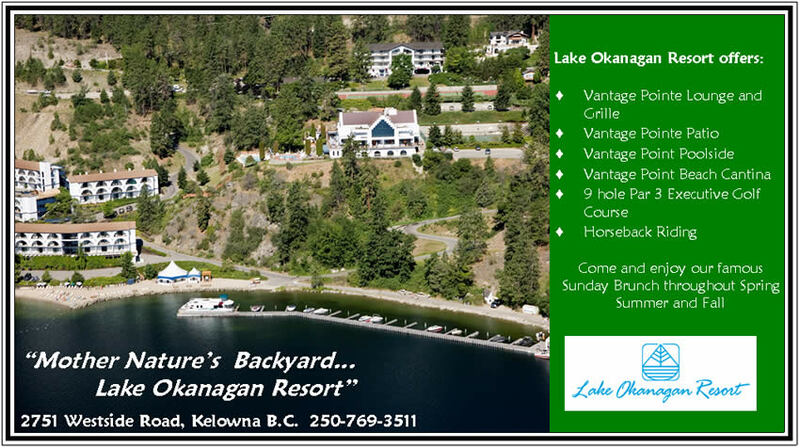 Next is La Casa Cottage Resort development, just before the next protected area of Shorts Point. 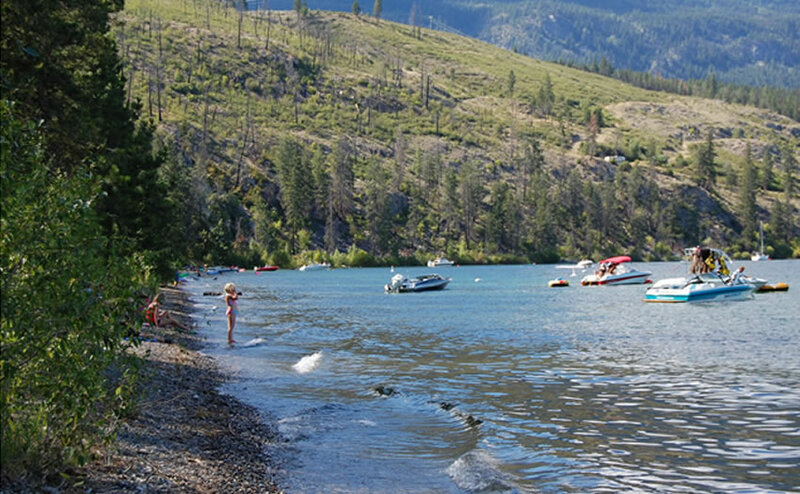 Mooring buoys on the south shore near Shorts Creek provide good protection for northerly breezes; on the northerly side you are protected from strong southerly breezes. 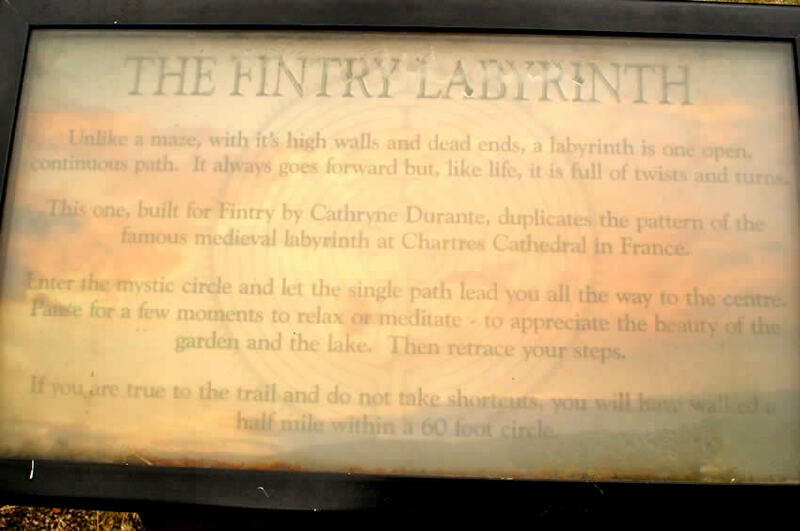 This area is probably known best as Fintry. 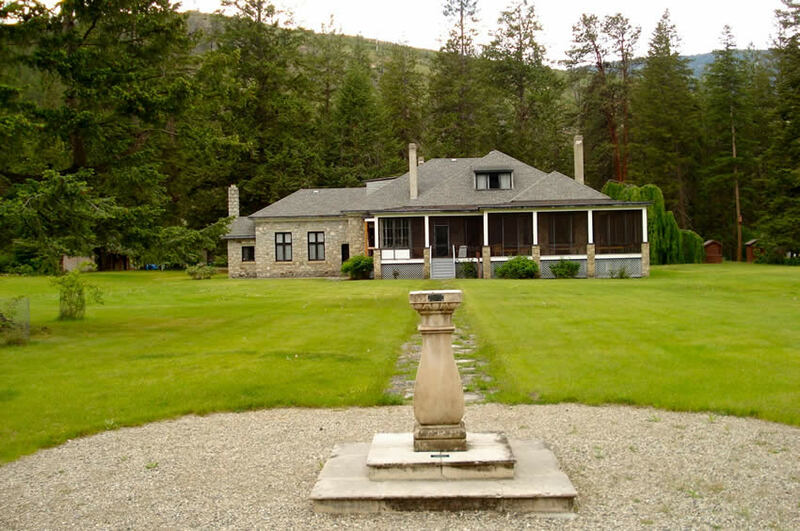 The old Fintry Estate was built here by James Cameron Dunwater and has been restored to its original glory. 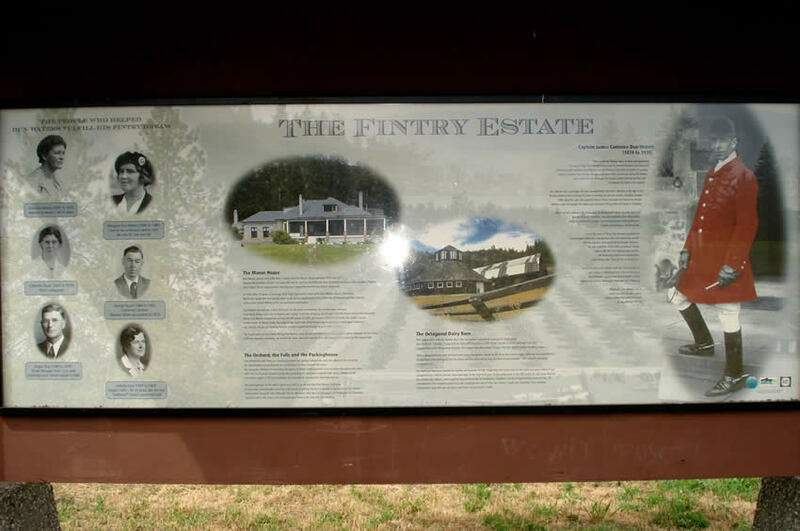 The large flat acreage is now part Fintry Provincial Park. 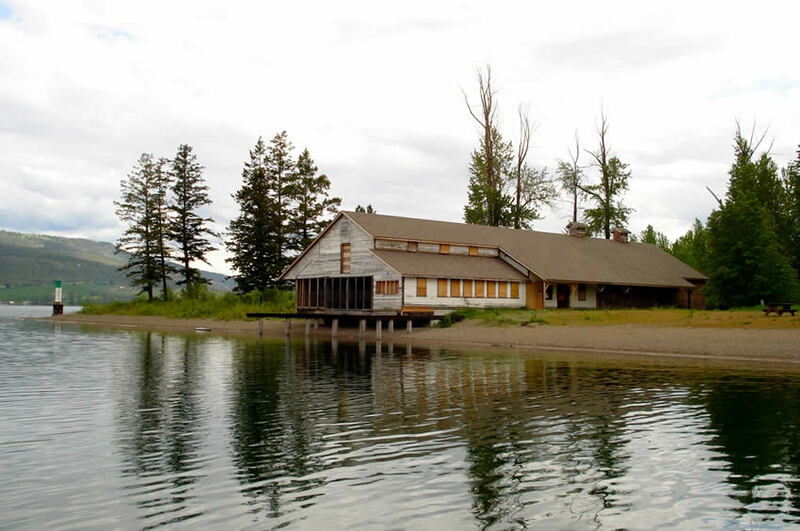 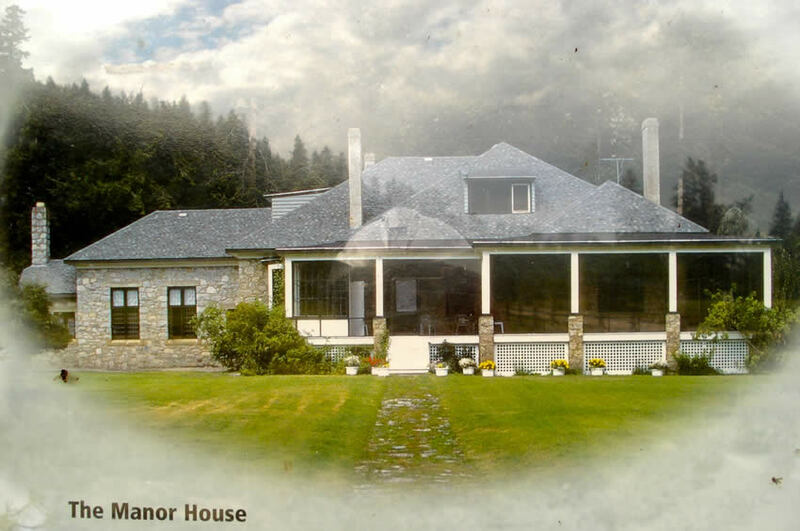 The old Dunwater house offers tours in the summer months; its old packing house is visible from the water. 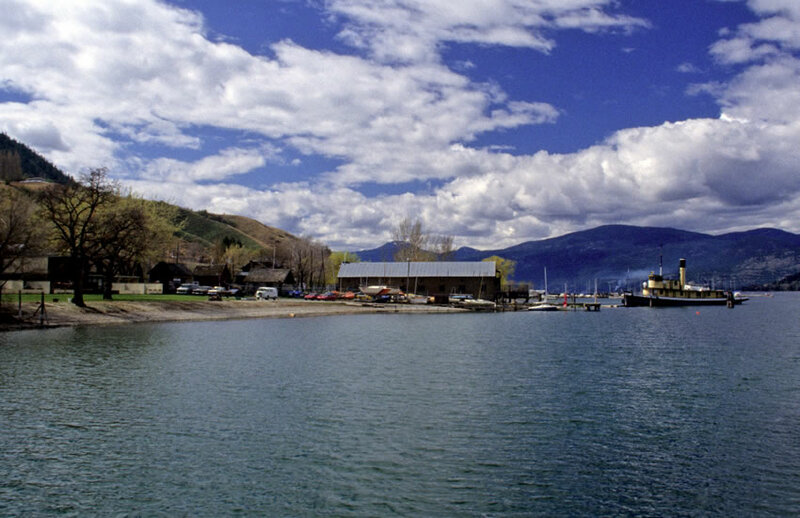 Fintry was a stopping point for the old sternwheelers picking up and delivering passengers up and down the lake. 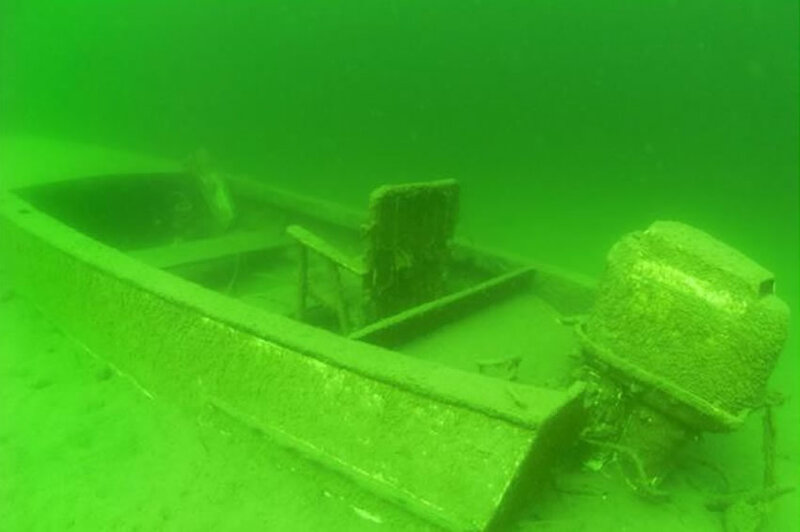 This makes for a very interesting dive site. 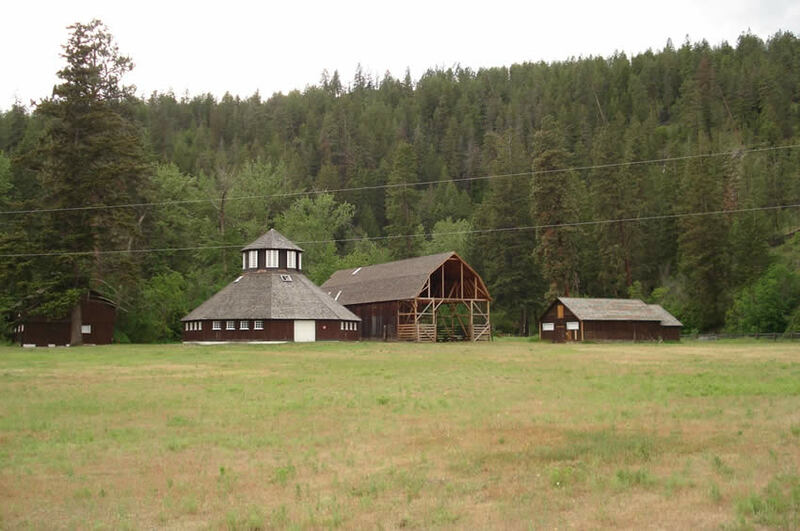 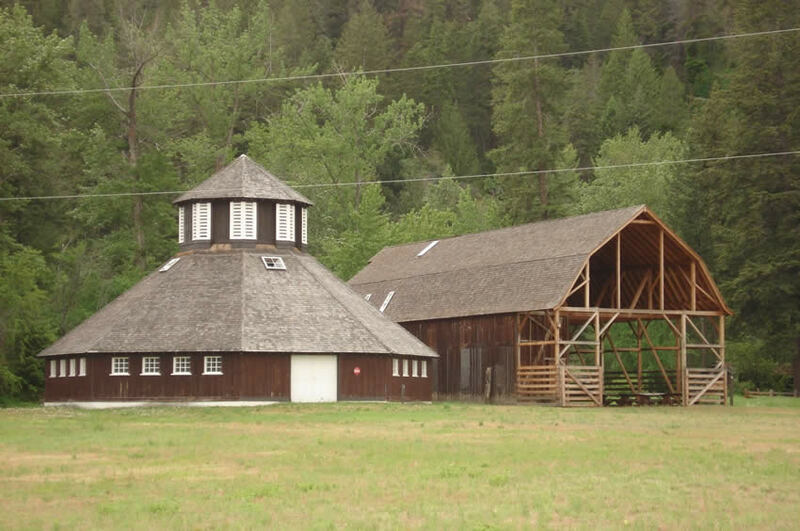 Old grazing pastures and barns in "the back forty" have been rebuilt and are open to tour through. 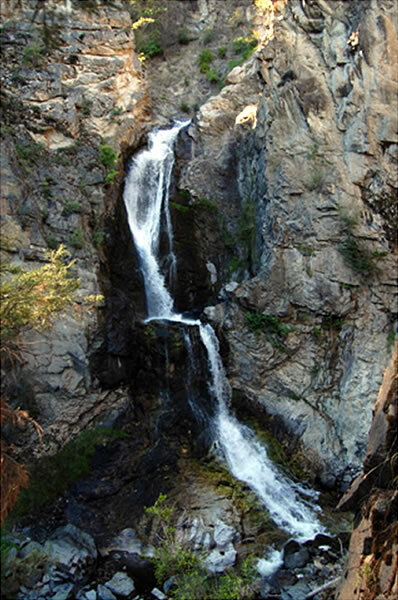 Up above Fintry, trails and stairs lead to magnificent waterfalls, a must-see if you are in the area. 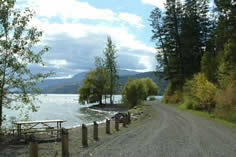 North of Fintry is Killiney Regional Beach, offering a small boat launch and designated swimming area. 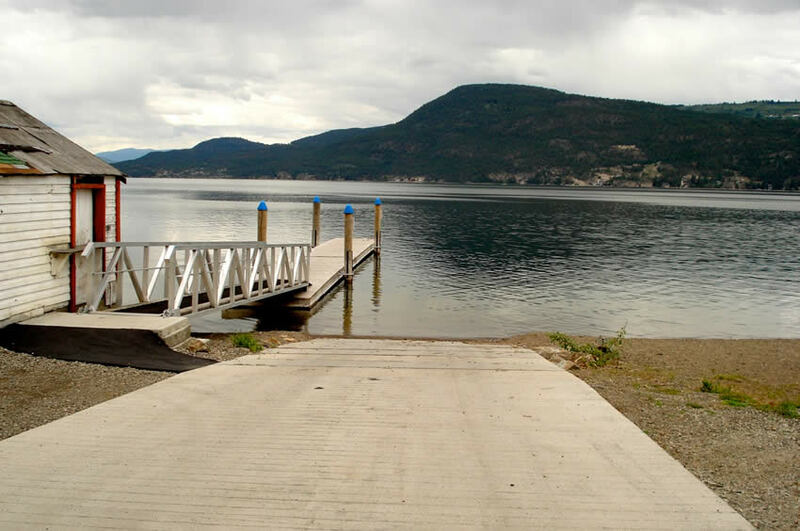 Just past here is Okanagan Forest Park with some camping, picnic tables, fire pits and a few mooring buoys. 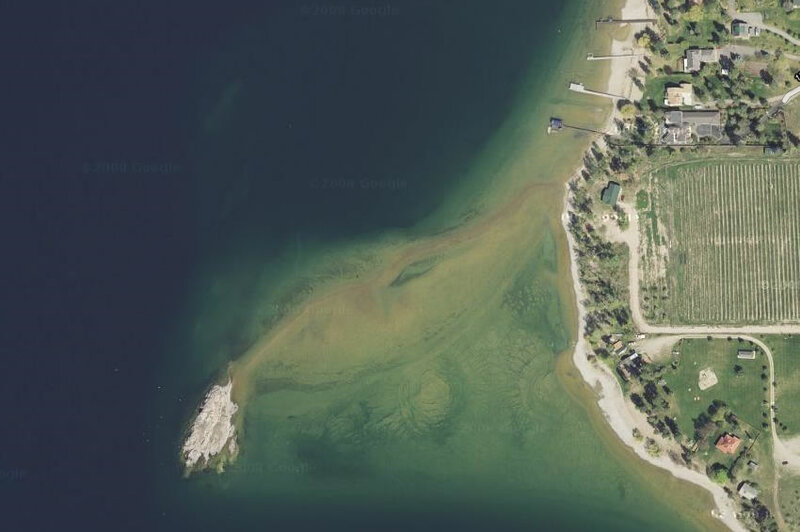 Just around the next point, the lake splits into northeast and northwest arms. 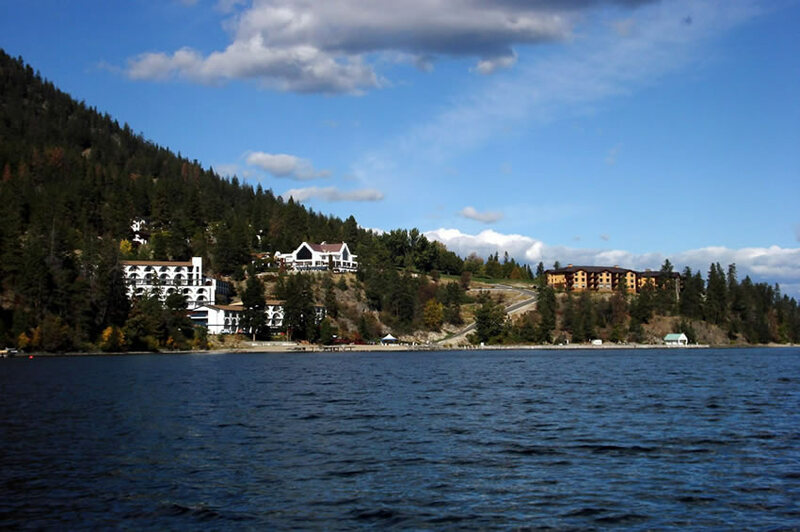 The lake gets shallow as you proceed up the northwest arm, very much so at the far northern end. 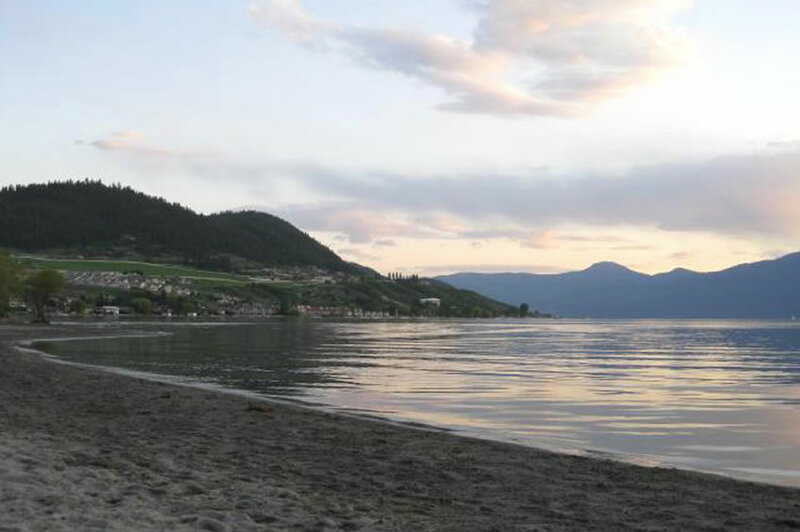 Water can be very calm here, so it’s a great place to waterski most times of the day except for those really windy days. 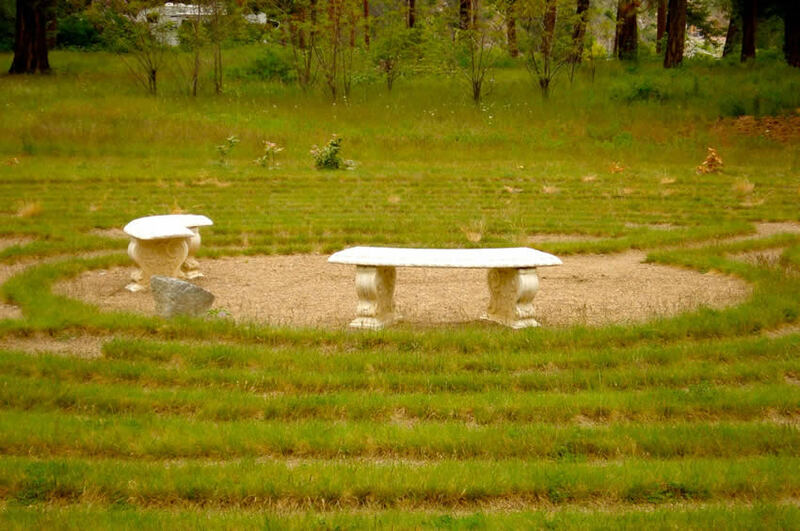 Just make sure you stay in the middle. 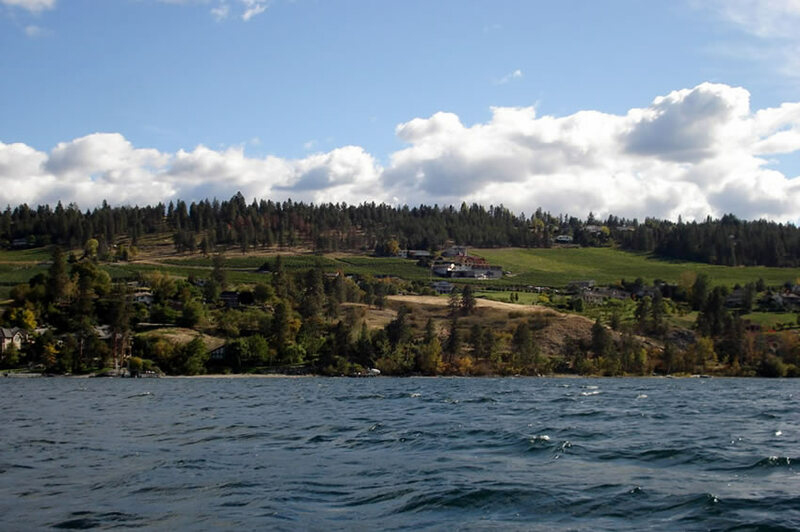 There is not much on the eastern shores of this arm but bull reeds along the shoreline, with grassy hills and farmland beyond. 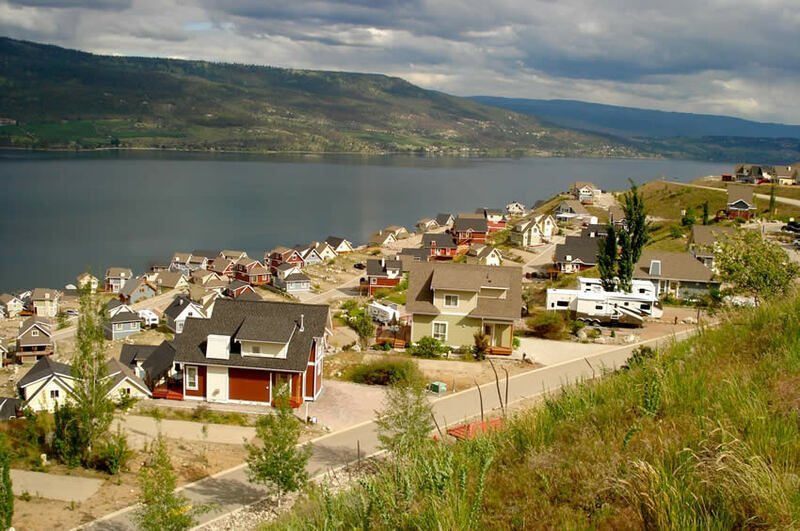 Back at the point where the lake splits into northeast and northwest arms, there are a few housing developments carved into the rocky hillside. 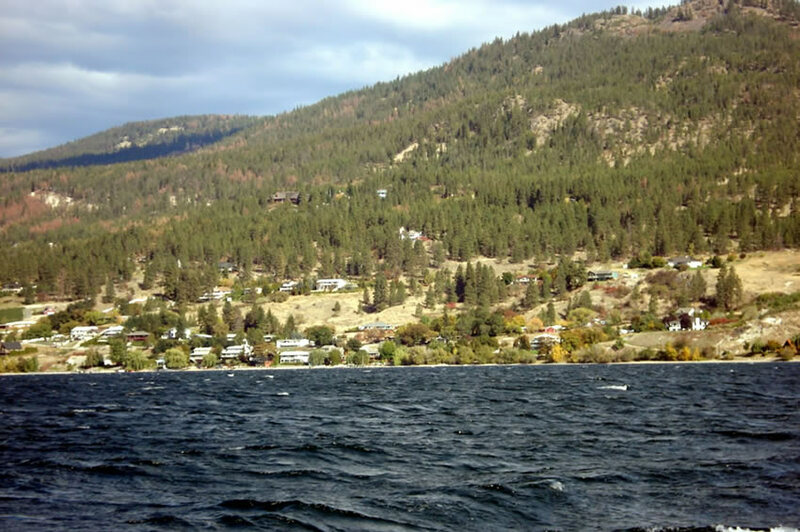 Once you round the point, you head into the northeast arm along its western shore. 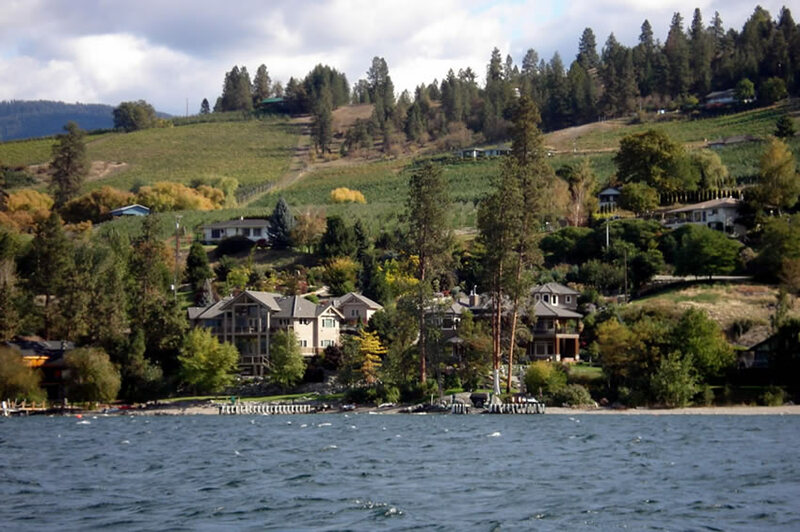 Older summer waterfront residences mix with newer modern homes. 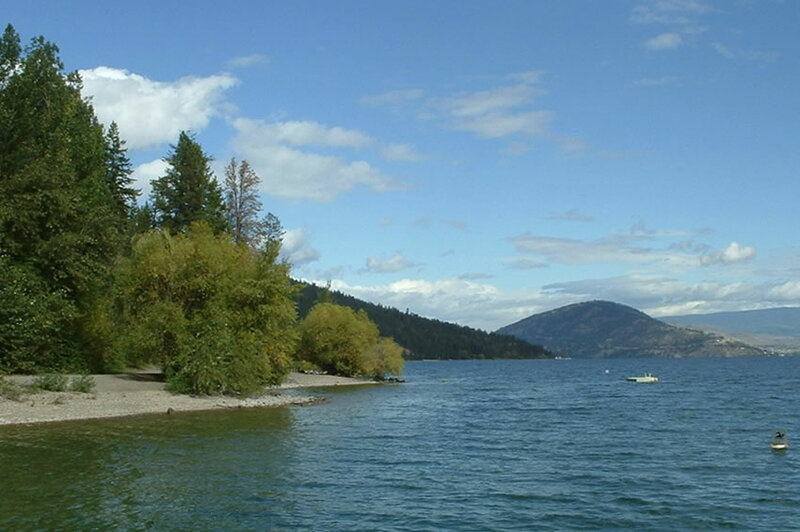 This stretch of shoreline is also great for watersports, especially towards the northern end of the lake. 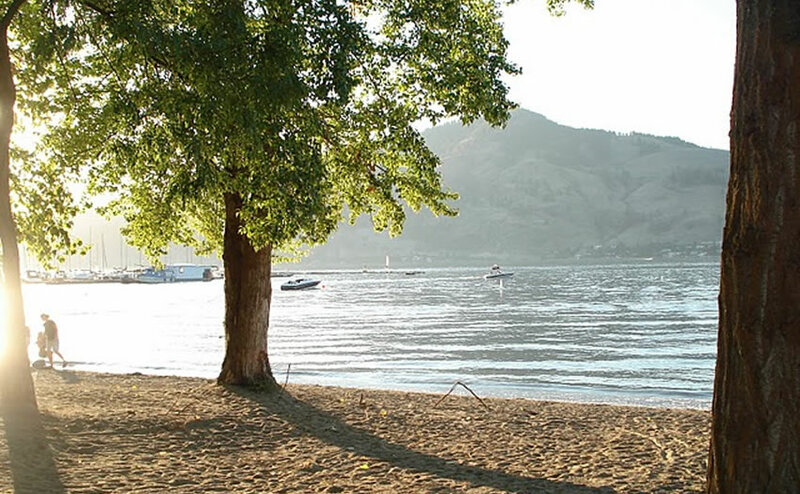 At the end of the lake we now reach the City of Vernon and its beautiful sandy Kin Beach. 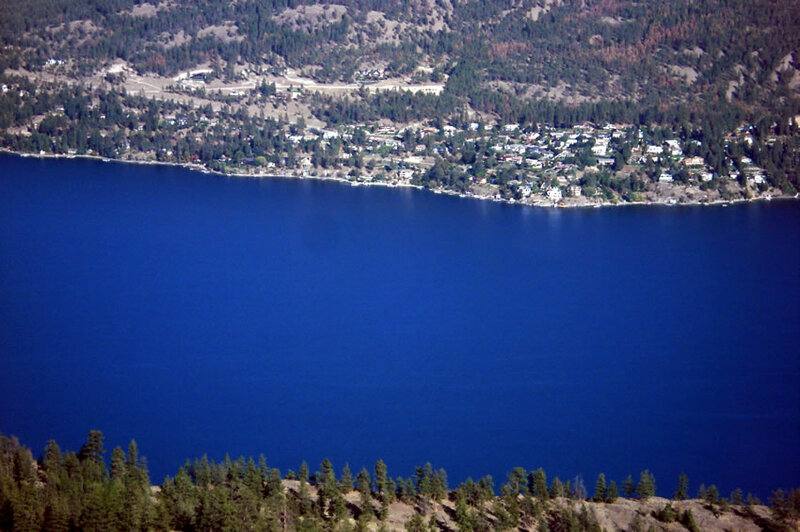 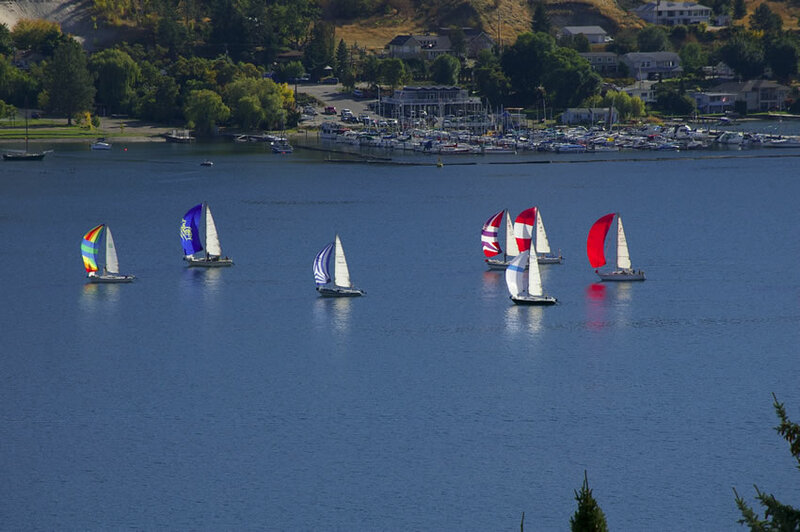 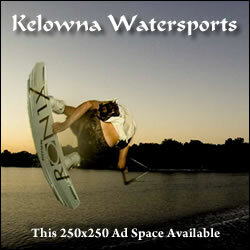 Vernon is surrounded by other lakes including Kalamalka, which means "lake of many colors". 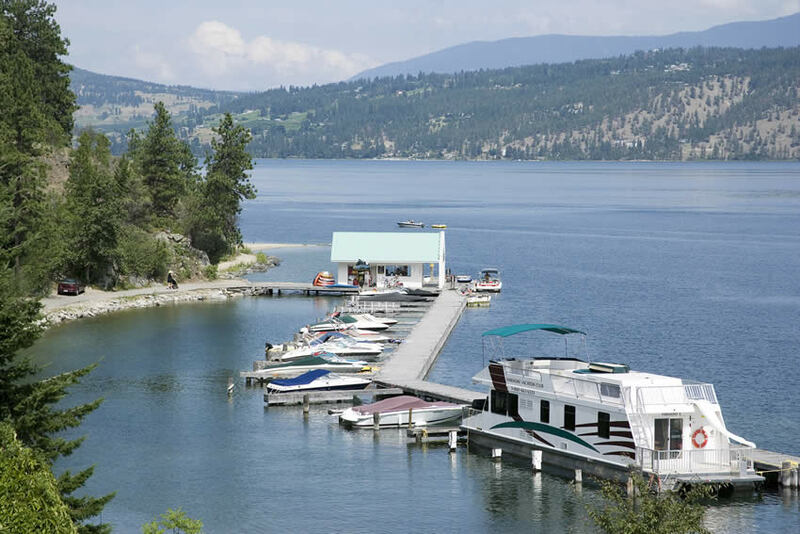 Much smaller than Okanagan Lake, Kal Lake's emerald green waters make it a must-see (or "must-boat") if you have the time. 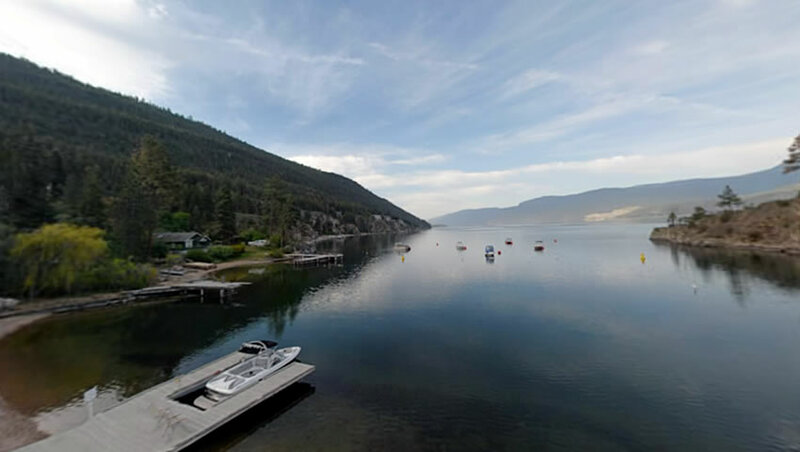 Heading south on Okanagan Lake from the northeast arm along the eastern shoreline are some summer cottages, condo developments and Seymour Marina, which has a fuel dock, ice, snacks and accessories. 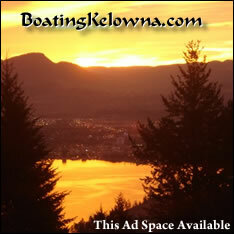 Check with the marina for mooring possibilities. 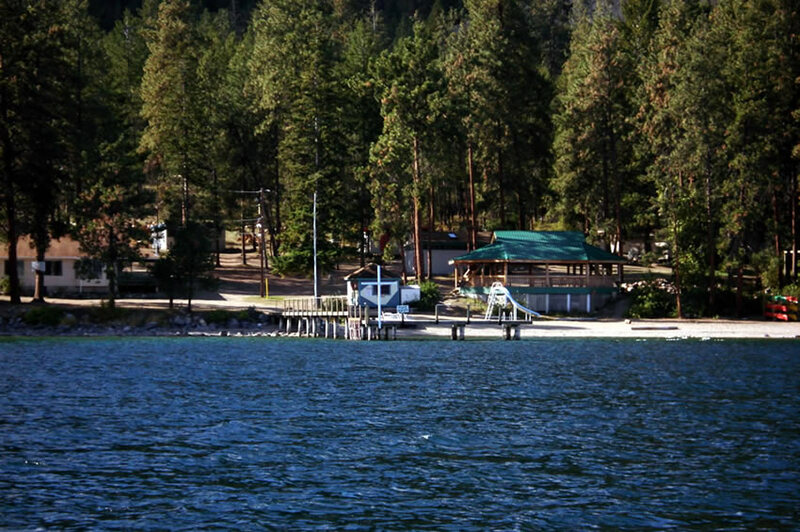 Just south of the gas dock is the Blue Herron waterfront pub. 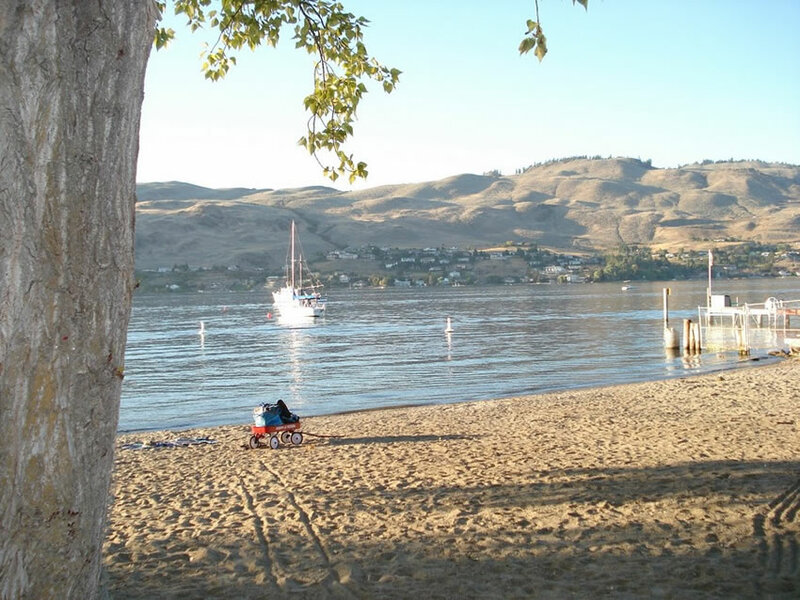 South of the pub, Paddlewheel Park has a boat launch, tennis courts and large grassy areas on which to picnic and play. 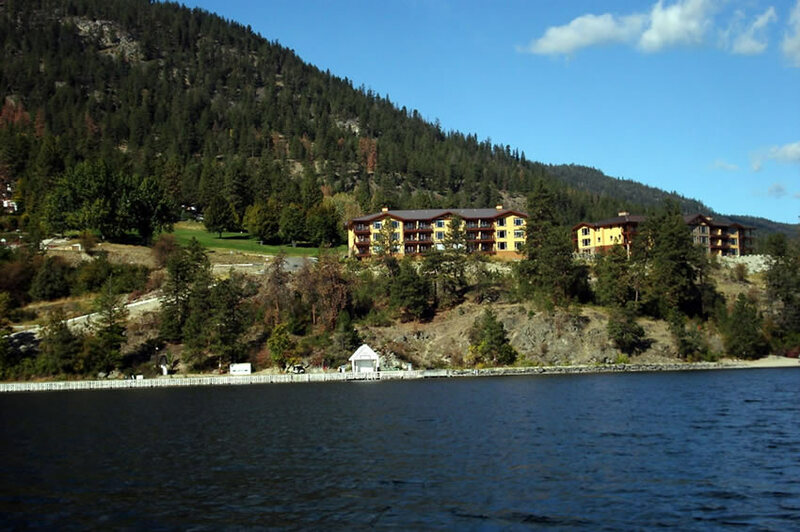 On the southern side of Paddlewheel Park is the Vernon Yacht Club. 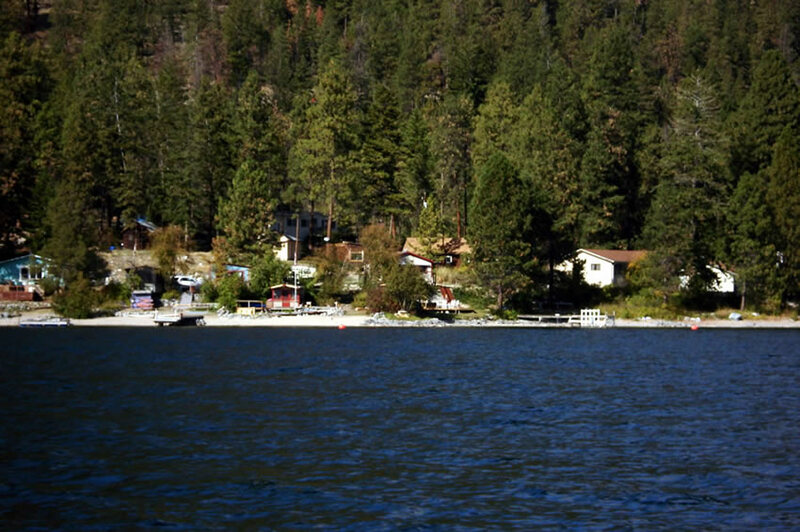 Continuing a few miles south towards Cameron Point, the shores are lined with cottages and newer lakefront homes. 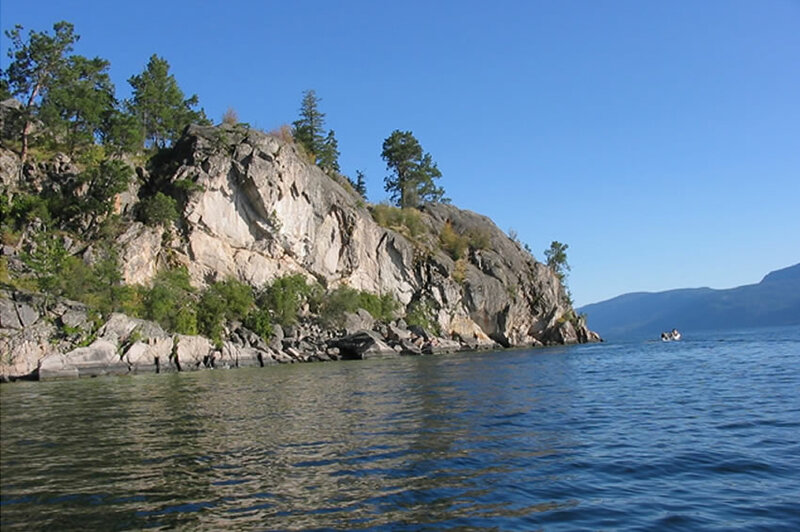 Be aware of several rock outcroppings just under the water in the bay on the south side of Cameron Point. 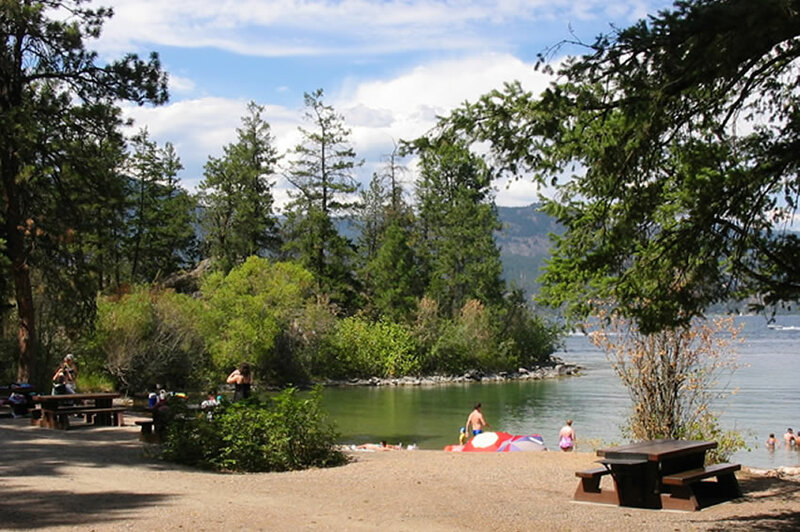 Just south is Ellison Park, a provincial campsite with numerous hiking trails, swimming, picnic tables, mooring buoys and a great dive site at Otter Bay. 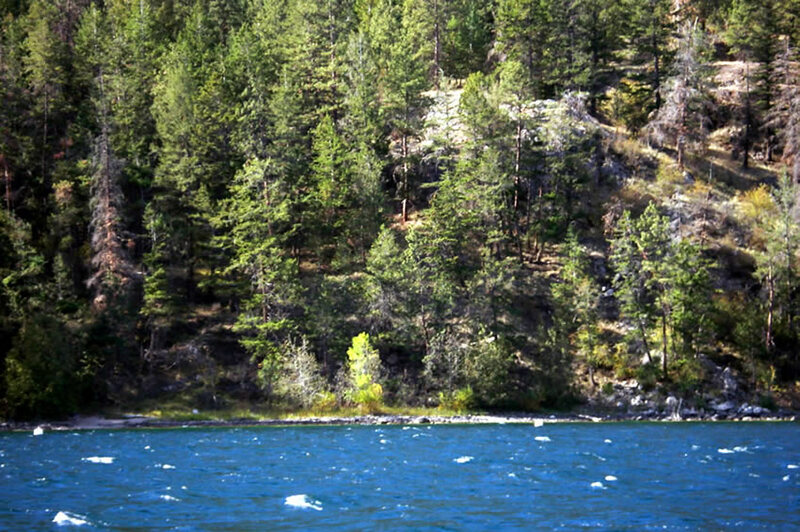 There are some very popular cliff diving spots along this stretch, where you'll find daredevils diving and jumping almost every summer day. 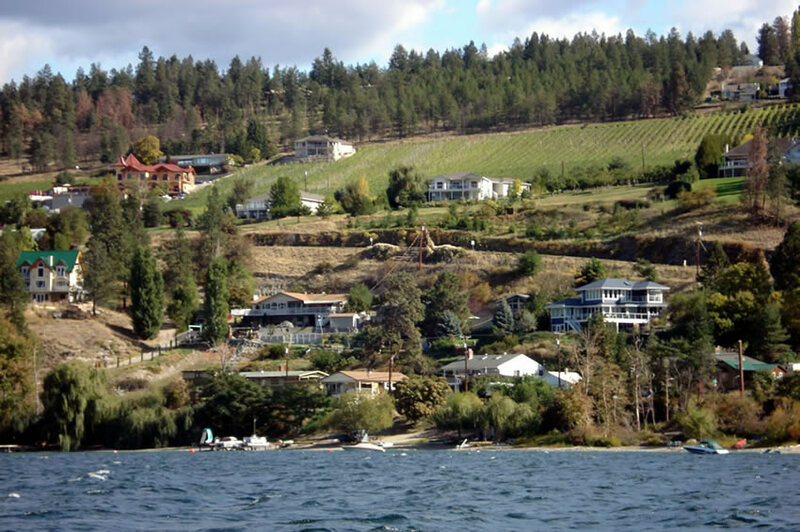 South of Ellison Park are steep rocky cliff faces leading to The Outback, a new summertime waterfront development built into the rocky shoreline and hillside. 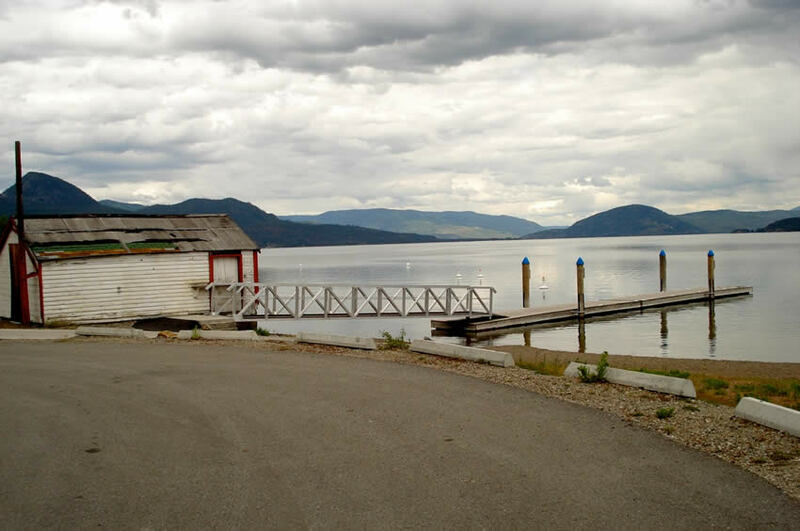 A well-protected bay right out in front of the Outback's clubhouse has a few mooring buoys for residents. 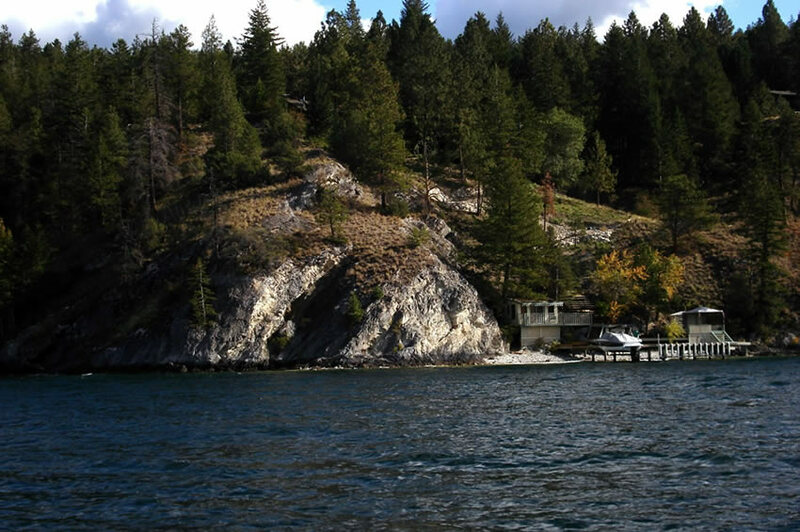 South of The Outback are caves that are visible from the waterfront. 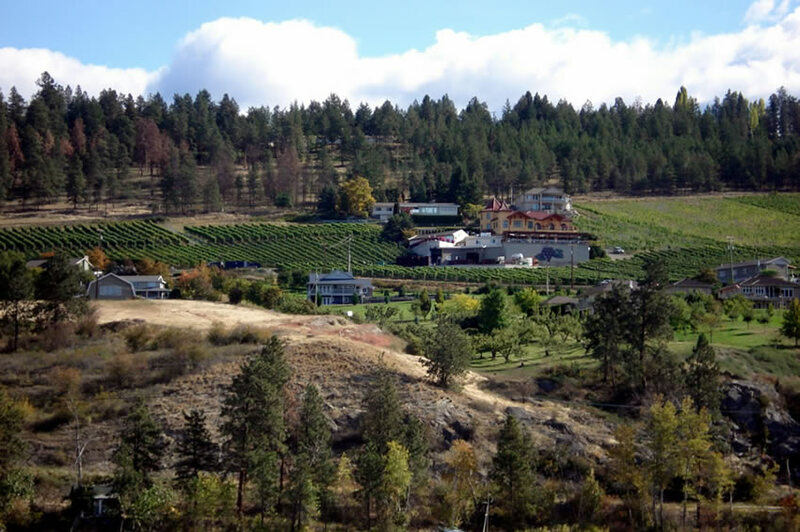 Cedar Grove lies at the end of the road that runs south from Vernon. 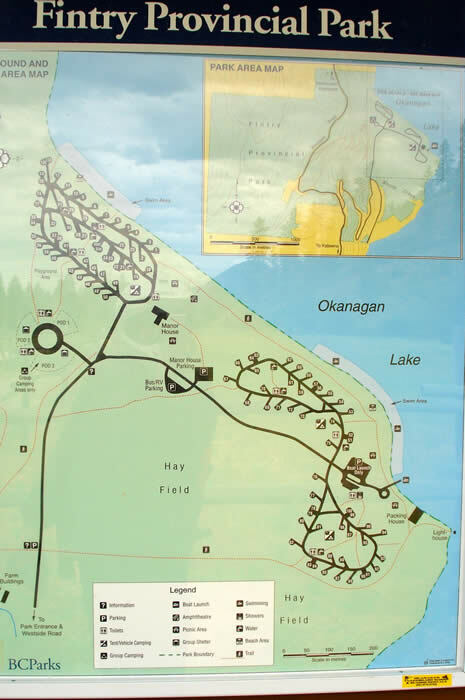 The next point south is Carr’s Landing, established around the turn of the century. 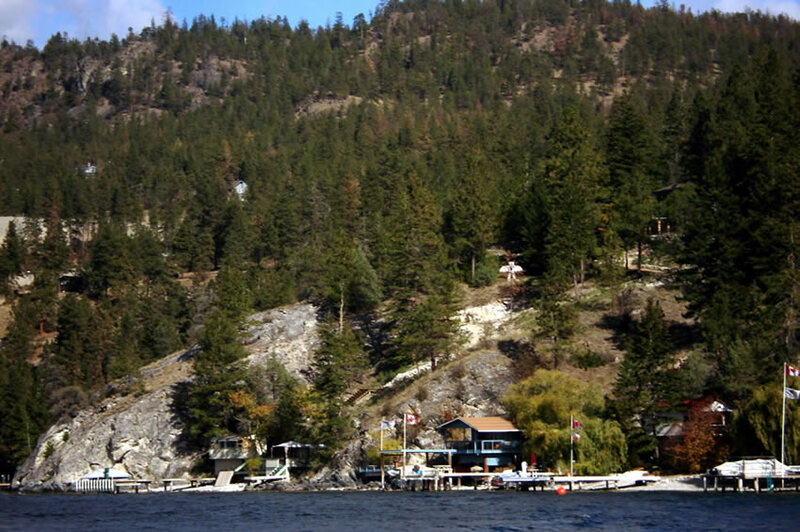 Whiskey Cove is the next bay to the south. 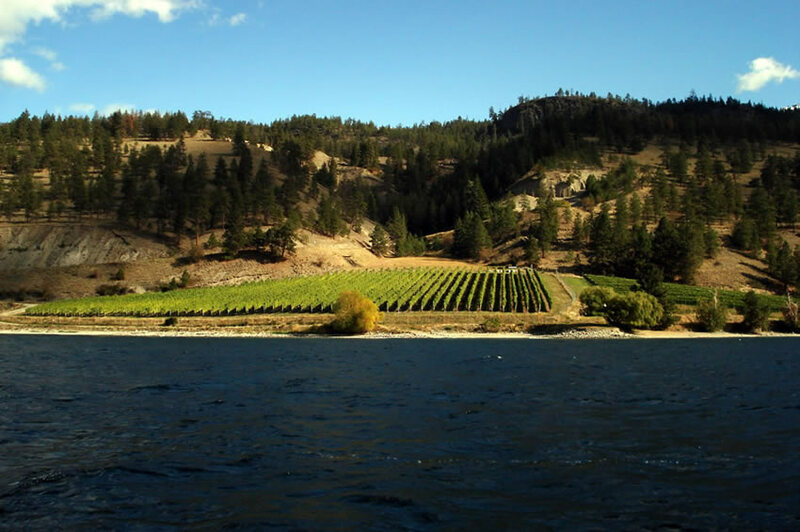 Just offshore is Grant Island. 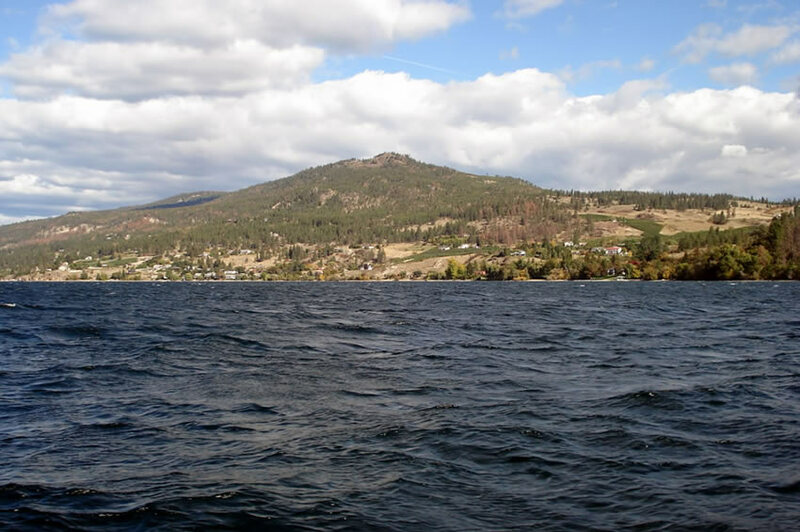 One of the few hazards on Okanagan lake, you should never travel between the island and the shoreline as it is well known for its "propeller graveyard". 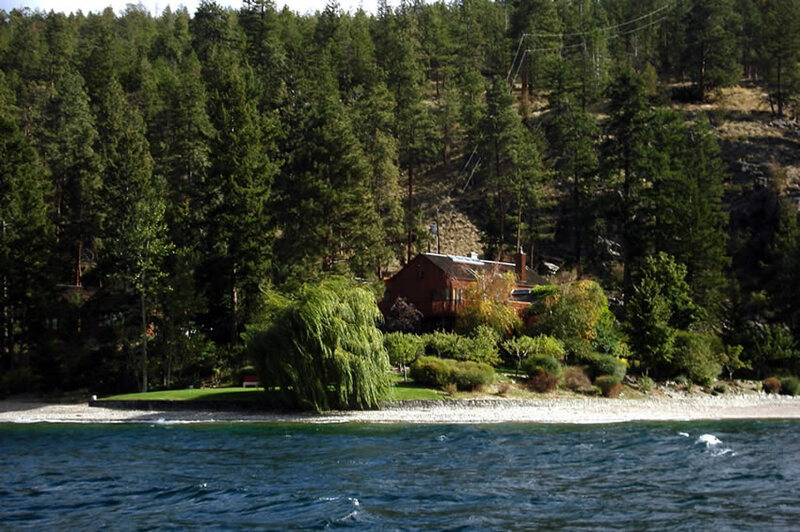 It may look like there is a lot of water in between the island and shore but that is simply not the case! Right past Grant Island is a regional park and picnic area, but be careful coming in because it is very shallow. 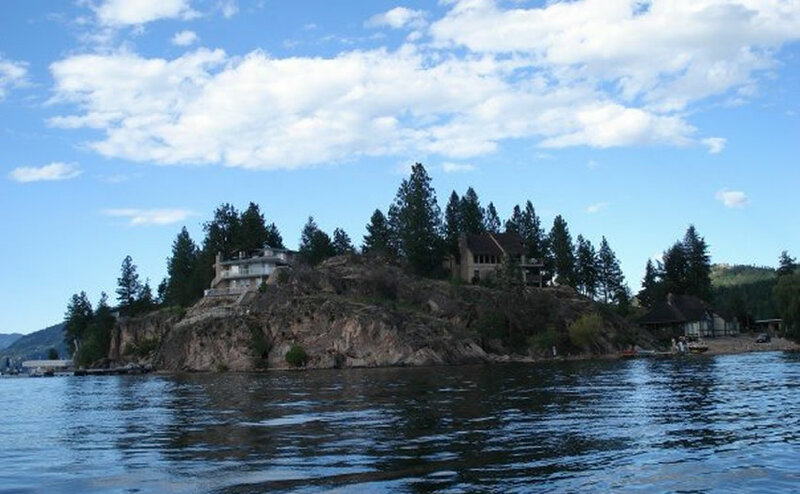 We pass by many summer homes and Pixie Beach on our way to Okanagan Centrewith its rocky shoreline lined with pine trees. 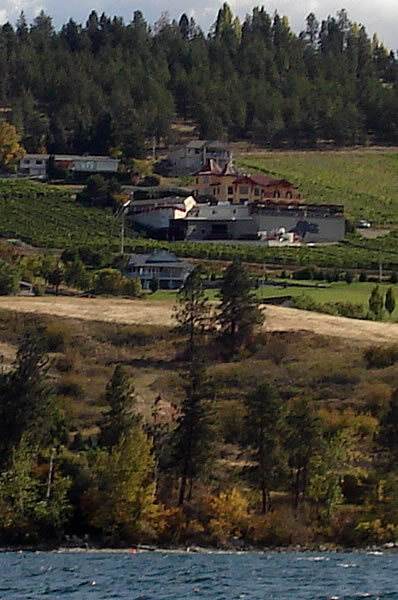 From here you can see Gray Monk Winery and vineyards sloping up the hillside. 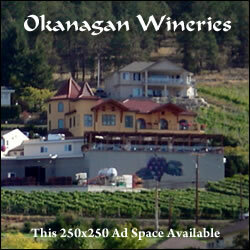 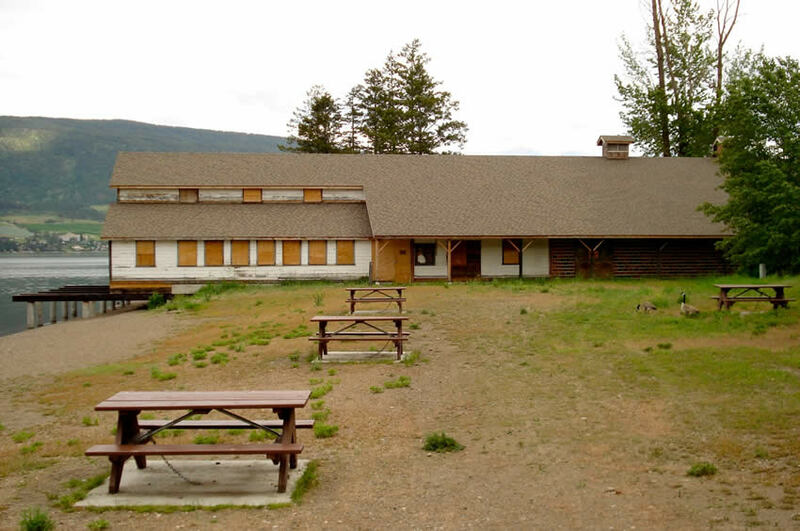 Okanagan Centre was established around the turn of the century. 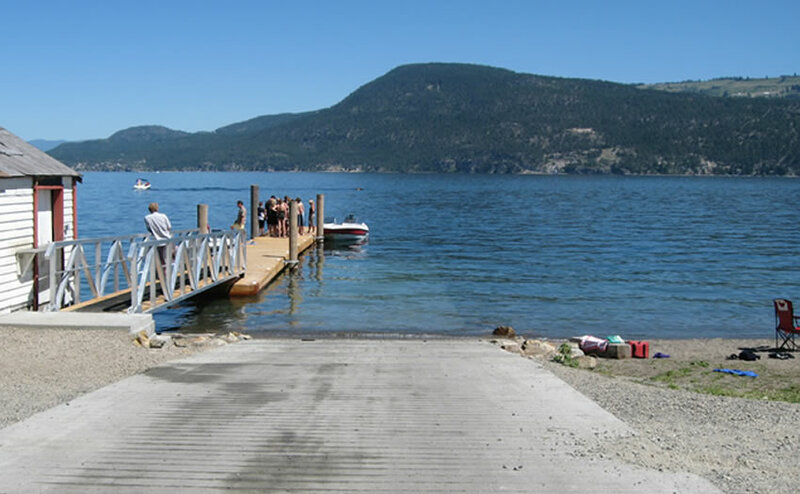 There is a boat launch here that is protected by a breakwater and has a few temporary mooring slips. 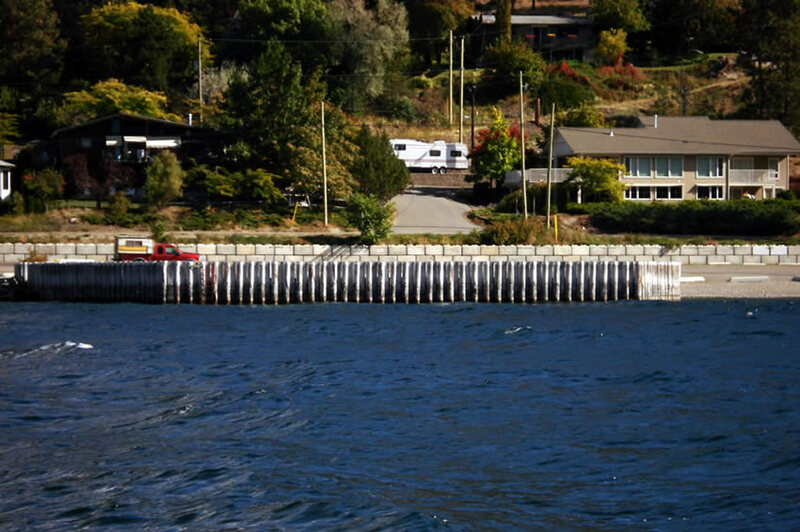 The south side of the breakwater is where the diving companies bring new students for their first few dives. 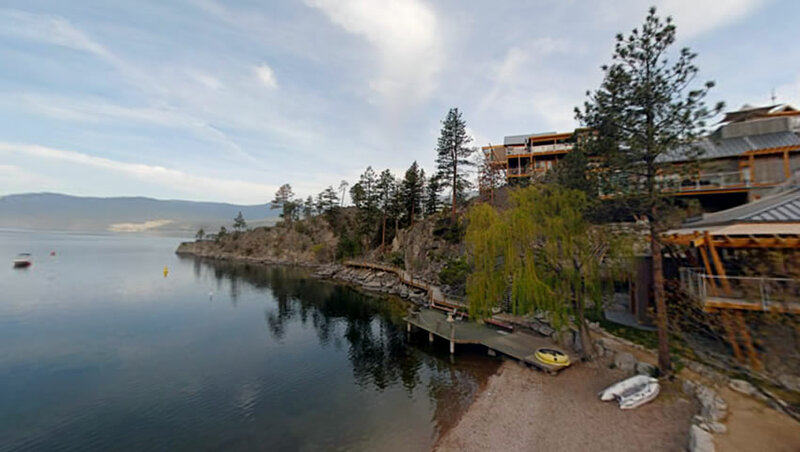 There are some really nice private beaches and homes along this quiet stretch of shoreline as we head south towards McKinley Landing, the end of our Northern Okanagan journey.